Papaya has been since ancient times used as hair mask and packs in order to achieve the desired results. 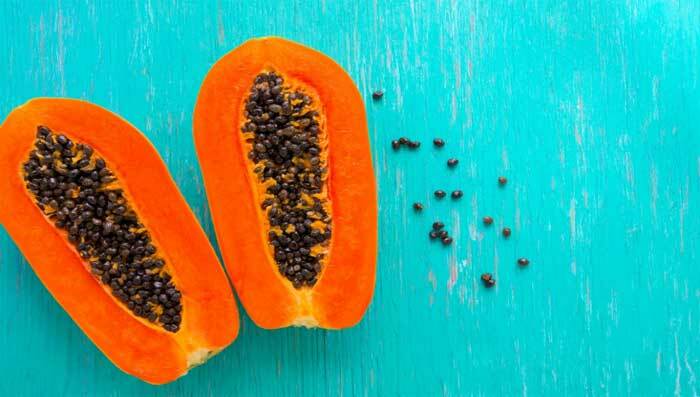 Even though many beauty companies today have begun using papaya for their products, it is very easy to incorporate the fruit in daily hair care regime. Below are few of the papaya hair pack and masks that are not just simple and easy to make but also very effective. Both yogurt and papaya are known to rehydrate the cells and promote healthy hair growth. This papaya hair mask is very effective, especially for those with dry hair as it smoothens and softens the mane. Both papaya and honey are again known for moisturizing and hydrating abilities and hence they make a great mask for hair. They help in rejuvenating the hair health making them long and strong in no time. Read following long hair tips and home remedies for long hair. When one asks is papaya good for hair find out various benefits one can reap from the fruit. Apart from the pulp, the seeds are very good to control dandruff. This papaya hair mask helps in controlling dandruff and removing the fungal infection from the scalp, cleaning it thoroughly. Both papaya and coconut are known to be antiseptic and clean the scalp, making it free from bacterial and fungal infections. This mask with coconut and papaya for hair growth and nourishment works well for all kinds of hair.